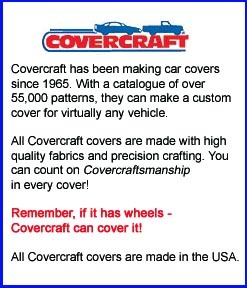 Covercraft BLOCK-IT 200 car covers are lightweight custom car covers for indoor and/or outdoor use. Our best mid-priced car cover! The BLOCK-IT 200 cover is very light weight, flexible and affordable. This cover is breathable, sunproof and water resistant. 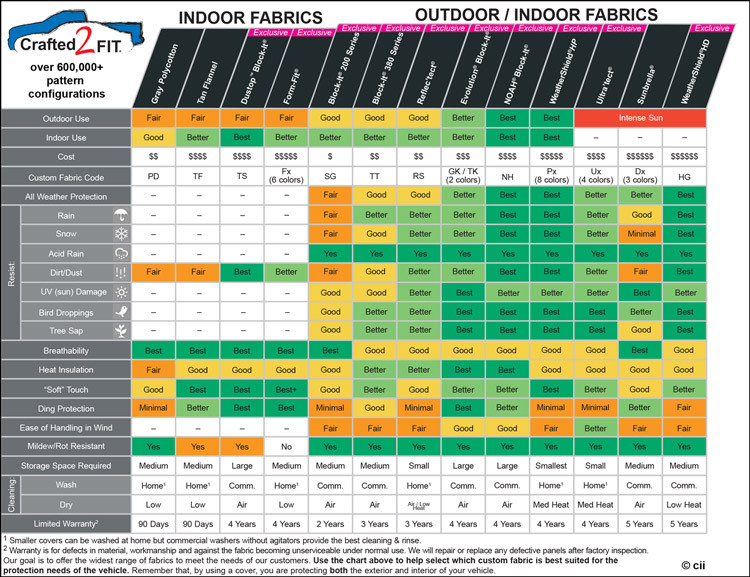 Covercraft's patented Multibond® Fabric uses 3-layer non-woven polypropylene construction for moisture and dust resistance. The water resistancy of this cover is higher than the poly-cotton but less than the BLOCK-IT 400. The BLOCK-IT 200 is the mid-priced leader in quality and performance. Great for everyday use or long term storage. This cover is good for outdoor use. If you are storing your vehicle outdoors for extended periods, WeatherShield HD is the best choice. But if you live in a temperate climate or your vehicle is sometimes stored indoors, the BLOCK-IT 200 will give you good protection at a moderate price. It can also be used as an indoor cover. Mirror pockets  If your vehicle was manufactured before 1965, the cover you receive may not have mirror pockets, even if it is a custom cover. If the pattern for your particular vehicle does not include built-in mirror pockets, we can send you mirror pockets for free, but they will not be sewn into the cover. Call us for details. This only applies to pre-1965 models. The BLOCK-IT 200 is available in gray.